San Antonio, TX – Cariño Cortez, project manager for La Familia Cortez Restaurants in San Antonio, delivered the commencement address at the San Antonio campus of The Culinary Institute of America on December 20. 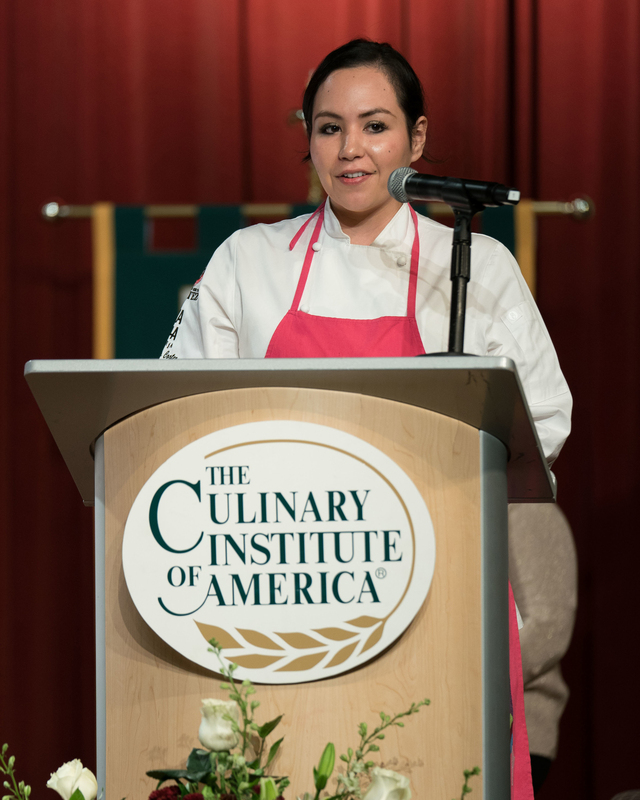 A 2009 CIA graduate, Chef Cortez is a member of the third generation in the family business that began when her grandfather opened Mi Tierra Café y Panadería more than 75 years ago. It now includes four restaurants in the Market Square area. The latest is Viva Villa Taquería, which opened in 2015 to rave reviews. Cortez has been a member of the San Antonio Leadership Organization of Professionals and the San Antonio Express-News community advisory board. She was named Top Chef of the Month by SA Monthly magazine.